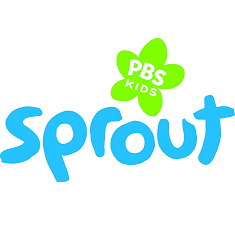 At Sprout, we are committed to helping families live easier, healthier and better lives together. Through our Kindness Counts prosocial campaign we are excited to launch a new initiative designed to teach preschoolers the importance of being kind to yourself. The Be Kind to Yourself Family Challenge will encourage parents to partner with their Sproutlet in creating a healthy, active lifestyle together. A custom online destination will provide visitors to SproutOnline.com with tools that parents & children can utilize to spark an interest in staying healthy and active. Through a partnership with the American Heart Association, Sprout will bring families relevant and timely information on how to make simple changes toward a healthier lifestyle. Activities within the site will provide parents and caregivers tools for making the Be Kind to Yourself message relevant to preschoolers including videos, coloring pages and do-together activities. Additionally, a downloadable app will allow families to participate and track their progress while completing a set of 10 healthy activities. With the app, Sproutlets and their families will have opportunities to earn rewards and incentives upon reaching defined milestones throughout the challenge. Families can engage in such challenges as riding bikes together, playing a favorite sport, stretching, eating healthy foods and more. The Be Kind to Yourself Family Challenge is open to everyone. For more information and to join the challenge, visit Sproutonline.com.